The 2018 Honda Accord has been hidden away under lock and key at Honda headquarters while it underwent some seriously thorough redesigns. The 2018 model boasts a lighter, more efficient car, with a roomier cabin, and promises of a quicker engine. We put together some of the highlights on what to expect with the new 10th generation Accord. With features like a longer wheelbase, a lower overall height and wider body, wider wheel tracks, a shortened overall length and lower, and a sportier seating position, the Accord offers a more premium look. You can see this in the shorter overhangs, bold front fascia, long and low hood, and a visual center of gravity moved closer to the rear wheels. The Accord also angles in more dramatically from the window sills to the roof, which creates more emphasis on the width of the lower body. Inside the cabin, the seats have been updated and moved inward slightly. This shift allows for improved hip, shoulder and headroom while allowing occupants’ more freedom of movement. As a result of the resized wheelbase, the second-row seats were able to move substantially backward, giving the Accord an additional 75mm of rear seat leg room. This extra space gives one of the most spacious rear seating areas in its class. Overall passenger volume is increased to 2993L with trunk space also being increased to a top level 472.9L. The 2018 Accord offers up a new premium tech savvy cabin. New features include an all new HMI which includes an ultra-slim 7 inch TFT driver’s meter, new 8-inch Display Audio touchscreen interface as well as physical volume and tuning knobs, more intuitive features and customizable app tiles and home-screen shortcuts reminiscent of a smartphone, along with Apple CarPlay™ and Android Auto™ compatibility. 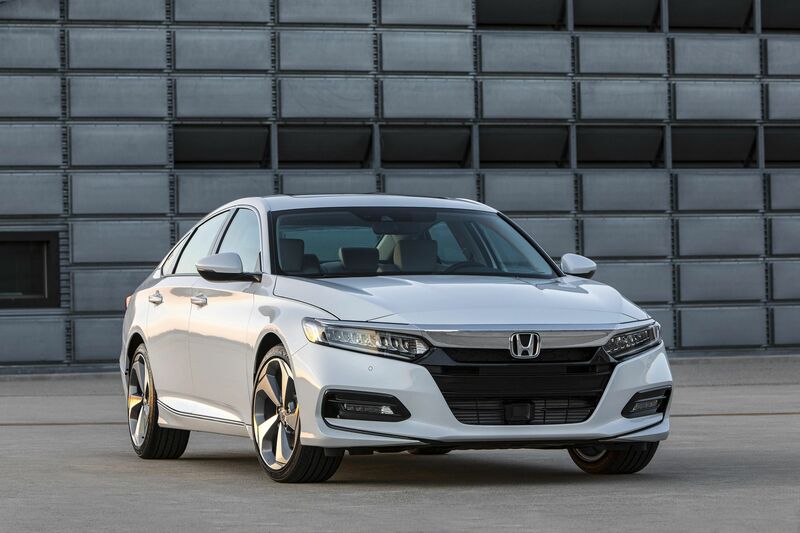 The 2018 Accord boasts the next-generation of HondaLink Subscription Services. This includes new capabilities such as automatic collision notification, emergency roadside assistance, remote locking/unlocking and engine start, stolen vehicle tracking, remote diagnostics, geofencing, speed tracking and more to keep your Honda Accord safe and secure. For more information, or details about when you can start putting in pre-orders to get your very own 2018 Accord, contact Henley Honda today.